*If someone asked you to share AncestryDNA results with them, skip this intro and go down to step 1. 1. 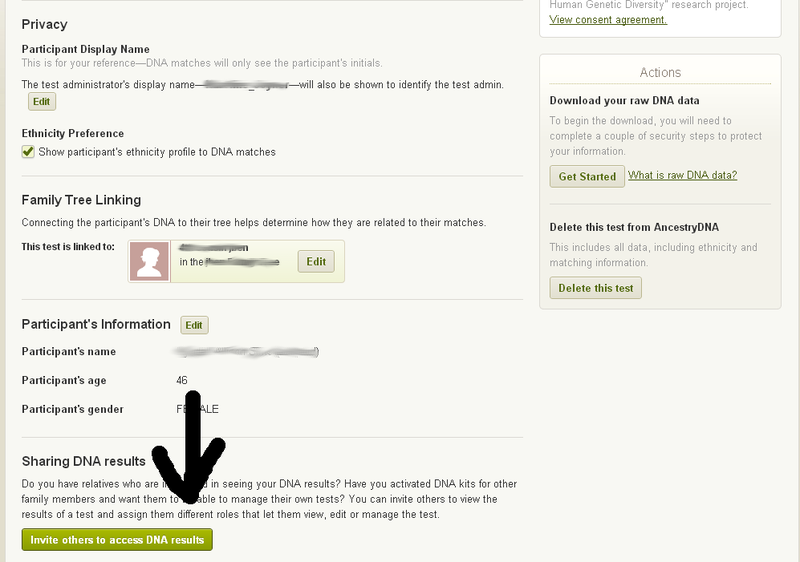 Go to the DNA Home Page – this is what you should see.. Now click the button that says settings. 2. 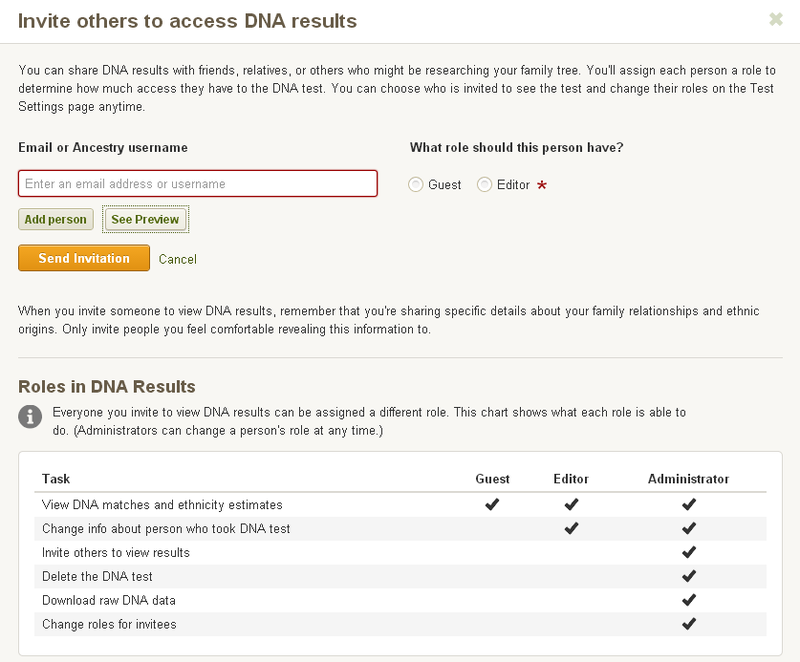 Now that you are on the settings page, scroll down until you see the heading: Sharing DNA results. Click it. 3. Once you click the link to share.. this is what you should see. Simply type in their ancestry username or their email. Make sure to select guest. Once someone has invited you to view their matches, you will get an email and you have to confirm you want to see their DNA results. Remember, if you want to see someone else’s matches, you have to walk them through the above steps so you can see their results. 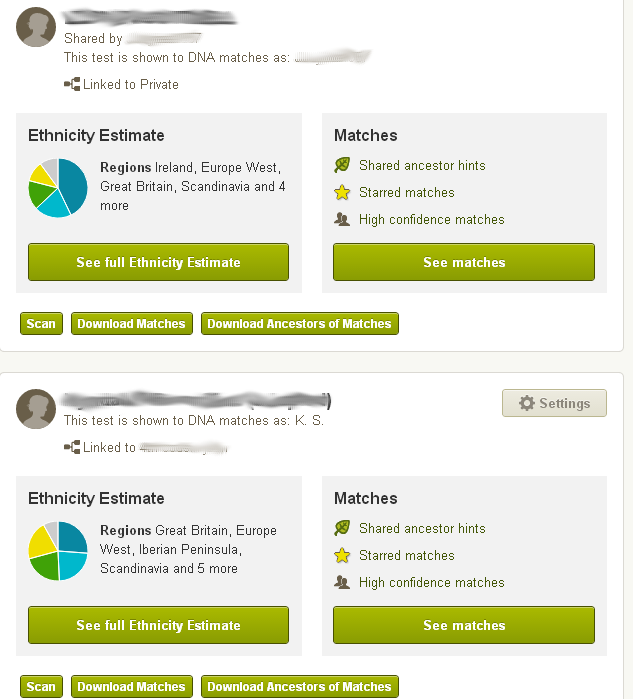 This is what your DNA home page will now look like – notice the first set of DNA results say “shared by…” Now you can view their matches and see if you share any similar matches. 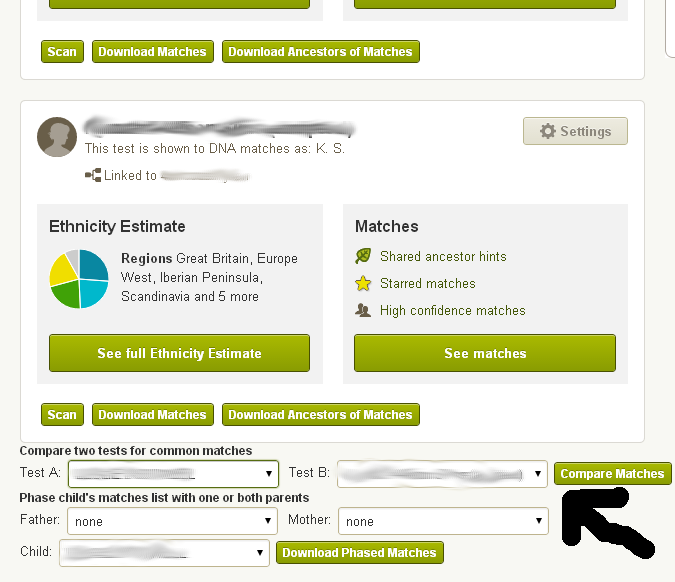 Seriously I am loving the AncestryDNA Helper Extension right about now… Select which DNA results you want to compare and click compare matches. Your results should show up almost immediately below the drop down menus. My mom and this particular match had 46 of the same DNA matches. This includes people that have private trees or don’t have a tree included. Pretty sweet! Hope this helped! Go share AncestryDNA results!